Utblick nr 4 2017 out now! Power is a complex concept. 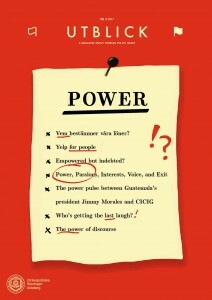 What is power, who has it and what are the consequences of power being exploited? None of these questions can be immediately and easily answered; they require careful analysis and critical thinking on the ever-changing rules of power. In this last issue of 2017, we try to shed some light on these faces of power. Some of the covered aspects are the power of discourses, the role of money, and the authoritarian state mechanisms of disciplining the masses. 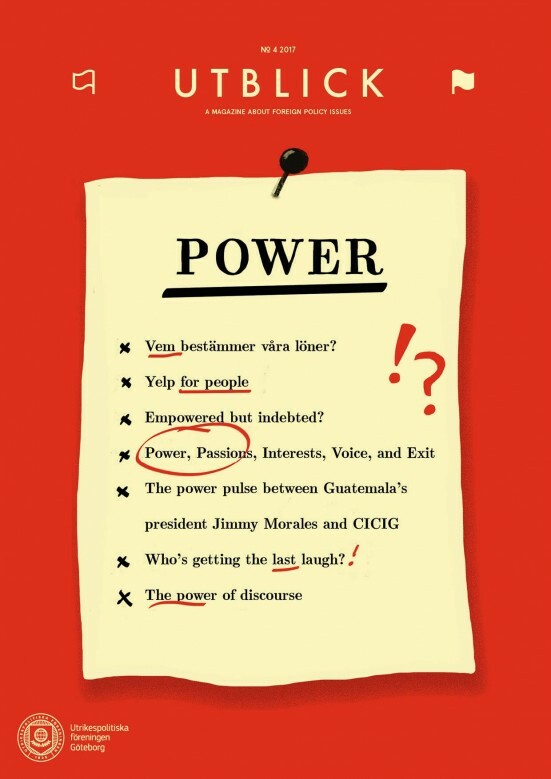 These are however only scratches on the surface, yet we hope they give some insights and trigger some thought about the role of power in a modern society. So feel free to pick a copy of the magazine in a university campus or library, or read the online version here! Previous Previous post: Utblick nr 3 2017 out now!